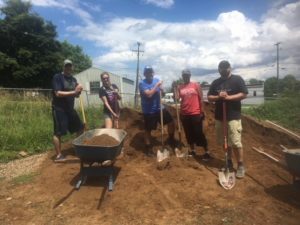 This summer, Team Reisenfeld has continued its tradition of giving back to the community in a number of ways. Reisenfeld employees also assisted on a Habitat for Humanity project in the Greater Cincinnati area. 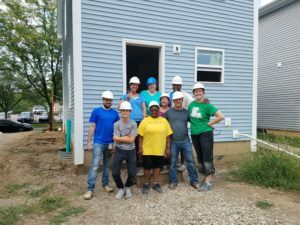 After a long day hanging drywall, Resolutions Manager Christine Evans shared “We were tired and sore, but smiling, knowing that what we did contributed to the greater purpose for this family and the mission of Habitat. It was great to also work with other Reisenfeld employees from other departments and get to know them better.” Joining Christine on the project were Brad and Ethan Reisenfeld, Craig Stickley, Katharine Lusher, Kim Schafer, Kristi Hamlet, Michele Swearingen, Amber Frilling-Morrow, Parker Jones and Steve Jones. Several Cincinnati office members recently volunteered at the Ronald McDonald House at Cincinnati Children’s Hospital. 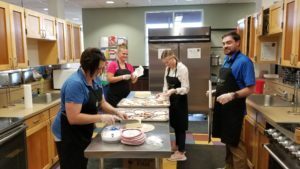 Under the guidance of the house’s Chef, Team Reisenfeld prepared and served dinner for all of the house’s residents – families who are caring for children in long-term stays at the Hospital. 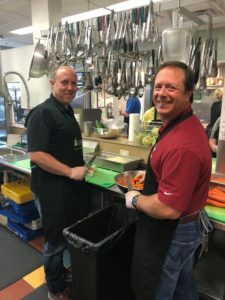 “It is incredibly humbling and rewarding to provide a meal to the families at Ronald McDonald House,” said Brad Reisenfeld, Managing Partner. 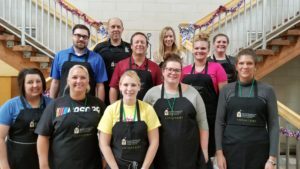 “These families are enduring an incredible challenge, and by simply giving our time to provide a meal, they can spend more time with their child, focused on their care and treatment.” Team Reisenfeld has supported Ronald McDonald House for the past several years, and will be continuing with more visits throughout 2018. Joining Brad at the House were David Nalley, Craig Stickley, Chloe Horning, Cindy Wiederhold, Allie Lindsey, Savannah Conrad, Misty Covey, Brittany Bentley, Katharine Lusher, Brittany Otto and Taylor Montag.